Submissions are now open for Oaxaca FilmFest! 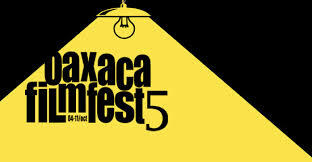 The Oaxaca Film Fest is an International Film Festival dedicated to Filmmakers and Screenwriters. The Festival is held every autumn, from the 4th to the 11th of October, in the unique place of Oaxaca, in the south of Mexico. The Festival accepts both International feature-length and short documentaries. They all must be a Mexican Premiere. Named by MovieMaker as one of the top 25 Festivals in the World, it's one of the largest film festivals in Latin America. In 2014, Oaxaca FilmFest plans eight days of the highest quality of film being exhibited anywhere in the world today, an international screen writer symposium, special events, tours of the region, academic opportunities, and of course the "infamous" Oaxaca FilmFest after-parties. Demonstrating why many Filmmakers and Festival Organizers recognize Oaxaca FilmFest as THE emerging film festival in the world today.